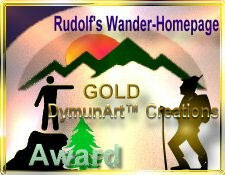 that You have earned my Rudolfs Wander-Award in Gold. You earned 90 points for Your page. This is my award in gold. You have a great site. My congratulations.